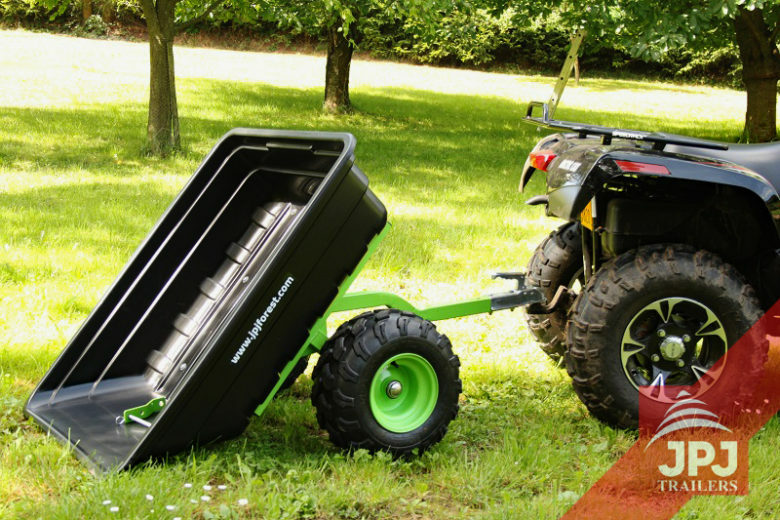 Small and light trailers that can be used by all home gardeners. The trailers are suitable for transporting grass, timber, garden waste, flowerpots, tools, construction materials and other materials. Small trailers with a large deck made of strong and extremely resilient plastic. Off-road wheels that are gentle to grass and all sensitive surfaces. Very practical and light ATV trailer, suitable for all work quads, ATVs, UTVs, garden tractors as well as compact tractors (Small Gardener trailer and Jober trailer).